Milkweed at HarborLAB. Monarch butterflies would cease to exist without milkweed. Who would have imagined until HarborLAB arrived that the Newtown Creek Superfund site would be home to an orchard, rich butterfly habitat, marsh grasses, a shellfish reef, and an architectural signature? Now, thanks to HarborLAB volunteers and partnering organizations and agencies, and our small funders, we are moving steadily toward the realizing that vision! The HarborLAB GreenLaunch will be a unique NY Harbor destination. 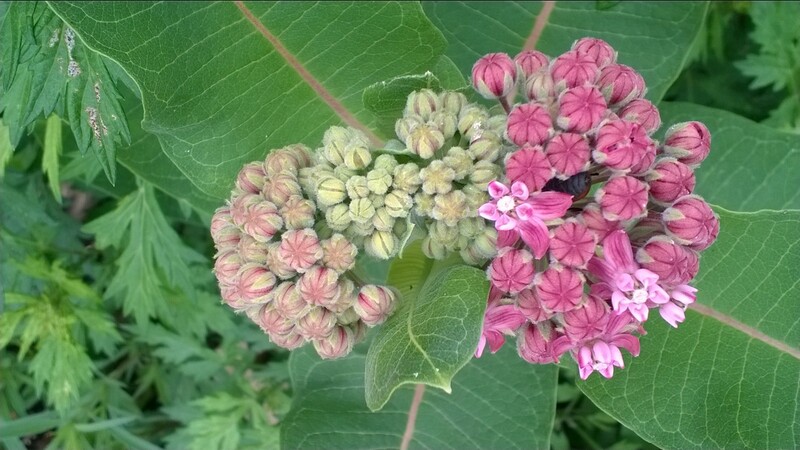 Our effort to nurture, plant, and preserve milkweed is already a resounding success. Even before our raised bed orchard is permanently situated, trees are bearing apricots, serviceberries, crabapples, and several varieties of pears. Our fig trees have rebounded after a harsh winter and young apple and hackberry trees continue to thrive. We have seeds of many shoreline species, including beach plum, to stabilize new soil when we receive it. Many thanks to Schuman Properties, Citizens Committee for NYC, TF Cornerstone, Newtown Creek Group, Con Ed, New York Restoration Project, and our other sponsors, as well as 501(c)(3) fiscal agent Earth Day New York, for making this beautiful work possible! We have applied for greater funds to further this enterprise and hold great hopes for success. We’ll soon unveil site plans and conceptual images for our GreenLaunch, including a beautiful, innovative boat storage facility. Stay tuned — or better yet, help make it happen! Drop us a note about hands-on service or donations at volunteer@harborlab.org or support@harborlab.org! 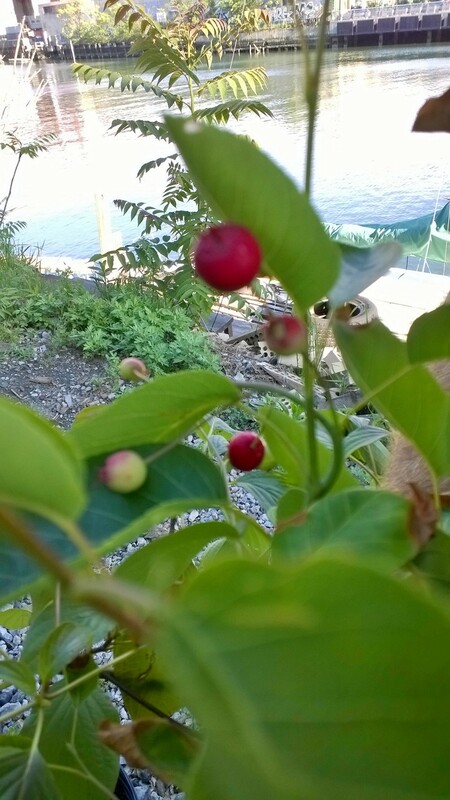 Serviceberries ripening at HarborLAB’s GreenLaunch on the Newtown Creek.